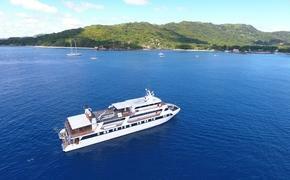 The debut of a new ship is nothing unusual to fans of cruise vacations; cruise lines do that all the time. These vessels bring new features that reflect the evolution of a given cruise company. And as a solid number of rabid cruise fans aren’t exactly keen on change, these additions or expansions rarely stray from the line’s core focus. Holland America was established in 1873, making for nearly 150 years of an established core focus. The line’s new MS Koningsdam will be the first vessel in a new class of ship that could have a whole lot of history holding it back. Instead, forward-thinking President Orlando Ashford seems to have all the pieces in place for Koningsdam to offer more than new hardware for the same product. When sister line Princess Cruises rolled out then new Royal Princess, it was a departure from the expected. The ship’s design may or may not have made sense to a seasoned cruise traveler, but it was a step forward. Holland America Line — who serves a demographic quite similar to Princess Cruises — took a cue from the Royal Princess design changes and paid attention. There must have been some productive closed-door discussions that led to MS Koningsdam’s current configuration. Always a big hit with Holland America Fans, The Culinary Arts Center will be present on Koningsdam along with a number of other dining venues. Cooking lessons, displays, pre-dinner Sip-Savor-Sail events and more happen in this space fleetwide. The dining staff really put their heads together in a very practical yet exciting way. Continuing the culinary focus, BLEND is a new space devoted to wine tastings, lectures and education. With a Culinary Council overseeing the entire operation, every aspect seems to be addressed, from wines that change to reflect where the ship happens to be at any given time to special signature holiday meals in the main dining room. And as culinary efforts at sea can often define a cruise line for the better or worse, entertainment has the potential to be a defining factor as well. Holland America Line is taking no chances in this area, partnering with New York’s Lincoln Center for Performing Arts to present “Lincoln Center Stage.” Featured here are outstanding musicians performing everything from afternoon recitals to programming fit for a lazy day at sea. Tapping Billboard Magazine for the last half-century of chart toppers and their enduring entertainment value, “Billboard Onboard” will present these memorable tunes using two pianists, a guitarist and a DJ. Unique. Interesting, but so far I have produced no proof that Holland America Line would like to target anyone other than its core base of fans. That’s where new President Orlando Ashford comes in. Ashford seems to be sizing up the company’s strong points and what new products could be launched from the rock solid platform they form. Case in point: The new Family Oceanview Staterooms that will debut on Koningsdam. These accommodations reflect a realistic view of current cruise traveler desires and position the line for future family market growth. Does this mean that Holland America Line wants to be like other family-oriented cruise lines? What it does mean is that they want to compete in the area of accommodations so they are building family-friendly staterooms. That adds one more choice to the limited number of ships that have these configurations. It’s not going to define Holland America Line, but it’s not going to keep them from matching what they do with the right traveler either. Not all kids require amusement park rides on a cruise ship to be happy. Those kids would fit in nicely. Through a process Holland America Line’s Ashford calls “Collective Intelligence,” all members of the cruise line organization are involved with planning, promotions, implementation of policies and procedures that will define the line. Collective Intelligence seems to be leading to a lot of good questions, and to answers being considered from a larger pool with good results. Significant here is that this brainstorming-like process is bringing a renewed spirit and sense of excitement to a cruise line where one might not really expect it. 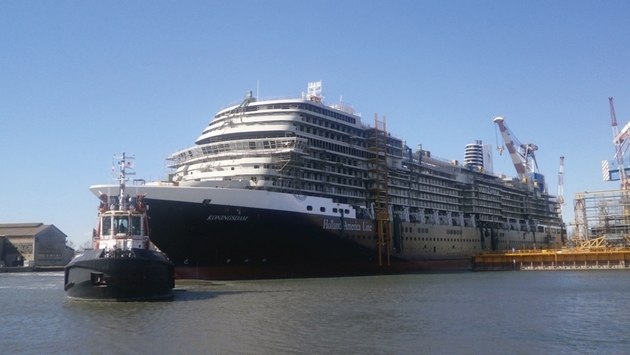 And it looks like Holland America is just getting started.